Our amazing Clinic Assistant Penny Robson has just completed the 10k Cancer Research London Winter Run. 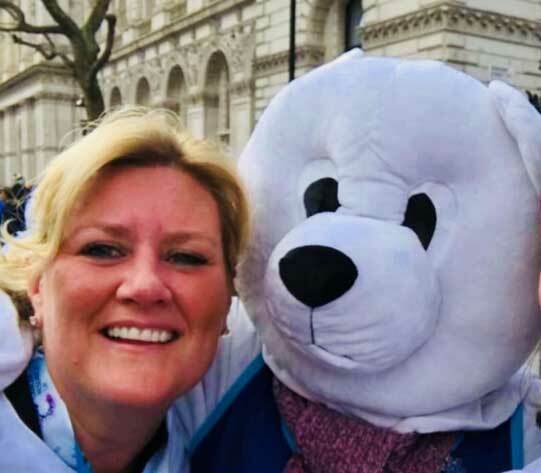 A record 20,000 runners took part in the London Winter Run on Sunday 4th February which included a ‘Penguin Party’ & ‘Polar Bear’ hugs on the finish line! We are so proud of her and her achievement! As well as working at the clinic she has also been a patient for many years. 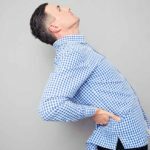 Regular chiropractic care meant she was at the top of her game for the run. The event is expected to raise a stunning six-figure sum for the cancer charity. 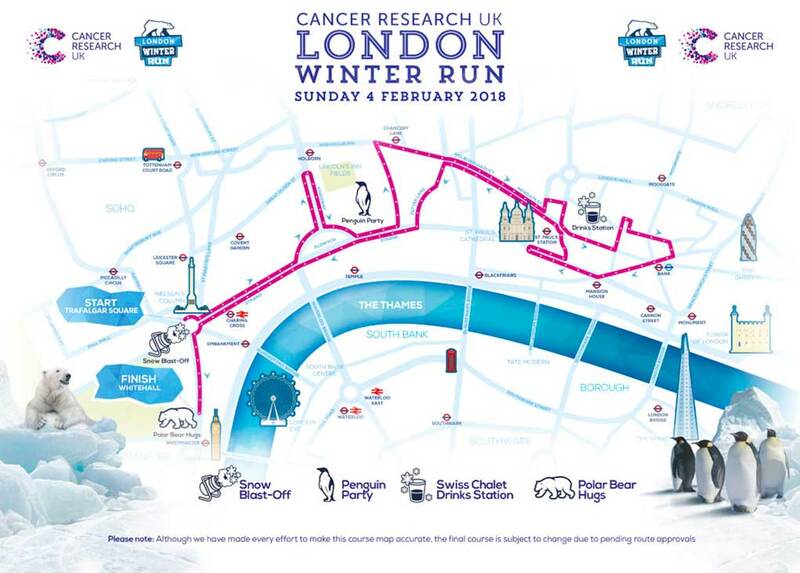 Sunday 4th February will mark our fourth Cancer Research UK London Winter Run and we’ve been overwhelmed by the numbers of you keen not to be beaten by the winter. You will be part of the UK’s largest mass participation winter event and the largest 10k in London. Places sold out just after New Year. Taking us to 20,500 of you getting excited to be on the start line. Keeping motivated through 12 months of the year is tough. And, we are delighted that so many of you are using this event to keep a focus on your fitness and health during the colder months. Especially the 20% of you taking part in your first ever running event. A great number of you are also choosing to run and support Cancer Research UK. This year should see us go over £2 million raised since 2015. It’s not too late even for small levels of support so please give this a final push (get onto JustGiving and send the link to your friends). The thought of helping to beat cancer sooner is inspiring for us and your efforts will all be part of this quest. We need to thank the many stakeholders and supportive public sector staff who share our passion. From Trafalgar Square to St Paul’s Cathedral. None of these sights would be available if it wasn’t for the commitment in London to support people’s health and fitness and provide great events for Londoners and its visitors. This includes the Mayor’s Office, Westminster, City of London, TfL, London Buses and many more. A final thank you goes to our amazing volunteers. When you are running on the day, please take the time to consider that they have been awake well before you. And, will stay at the event until long after you have gone. They do it to help us put on this event for you. They do it because they love the feel-good factor of seeing you cross the finish line, supporting Cancer Research UK, and putting something back into the world. Please thank them if you get the chance. Starting the year with the Cancer Research UK London Winter Run is the best way to kick off 2018 and we can’t wait!